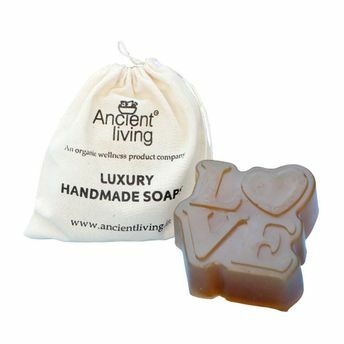 Ancient Living Luxury handcrafted soaps have a high percentage of nutrient-rich oils such as Golden Jojoba, Wheatgerm, Shea butter, Olive and natural Almond oil. Natural aroma oils and exotic Ayurvedic herbs add a multitude of benefits. Natural essential oils in the soaps not only uplift the senses but also promote skin health by regenerating, energizing and moisturizing the skin.